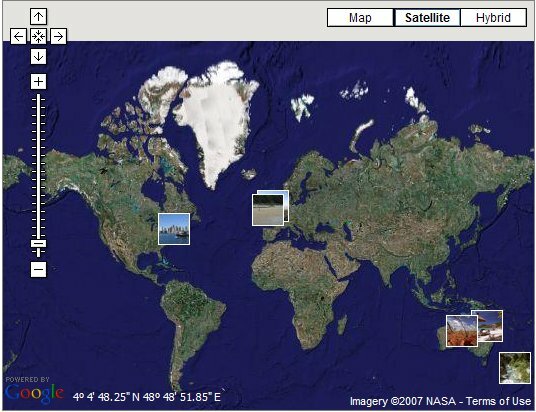 A few weeks ago I wrote about using Panoramio to publish and view images from around the world in Google Earth and Google Maps. At the time I posted just a single beach scene from Hamilton Island in Australia as a test image and noted that it takes a while for these images to appear to any user of Google Earth. At long last these have now appeared! After I wrote the article I added a few more images I had lying around. After a few weeks, they started being flagged by the Panoramio reviewers as having been accepted by Google Earth.